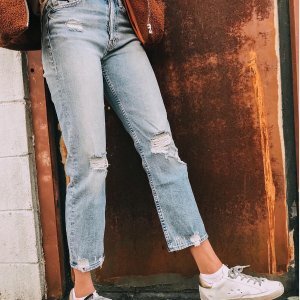 Saks Fifth Avenue offers up to $150 off Women‘s Denim , via coupon code DENIM19 . $25 OFF when you spend $150; $75 OFF when you spend $300; $150 OFF when you spend $500. Free rush shipping via coupon code VALRUSH . OR free shipping, via coupon code FREESHIP . Deal ends 2/10 20:59 EST.